Basic information: Albert Barnes (December 1, 1798 – December 24, 1870) was an American theologian, born in Rome, New York. 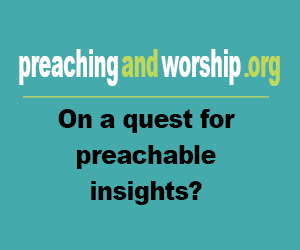 He graduated from Hamilton College, Clinton, New York, in 1820, and from Princeton Theological Seminary in 1823. 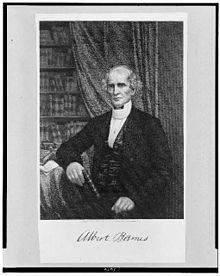 Barnes was ordained as a Presbyterian minister by the presbytery of Elizabethtown, New Jersey, in 1825, and was the pastor successively of the Presbyterian Church in Morristown, New Jersey (1825–1830), and of the First Presbyterian Church of Philadelphia (1830–1867).